Perhaps you think Japanese people are shy? Want a different impression? 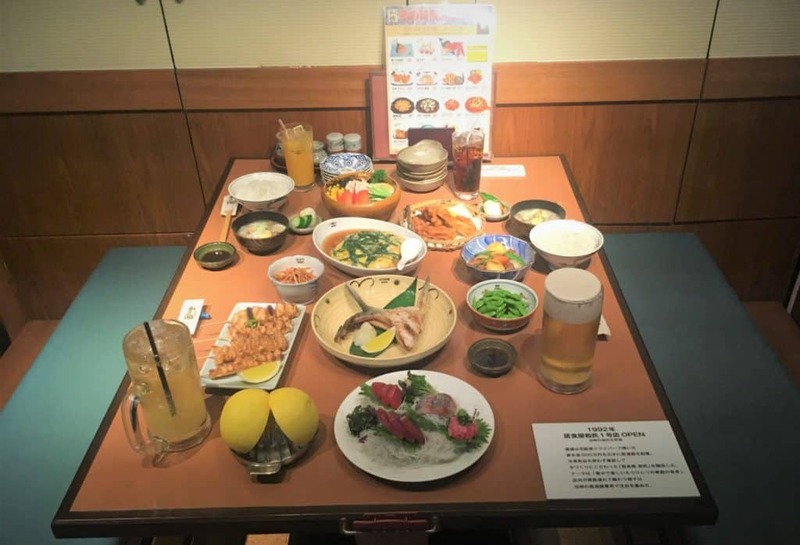 Visit an Izakaya! 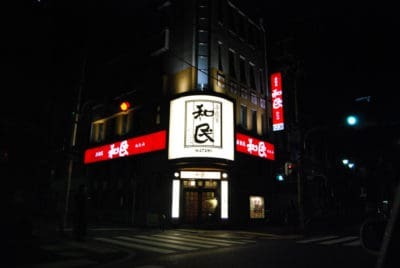 (a casual Japanese gastropub) Whether you’re a worker needing to rewind or a tourist fatigued by sensory overload the Izakaya is the perfect way to end your day! Raucous & informal the Izakaya offers respite for all. Not to mention it’s the ideal place to enjoy a beer, hoppy, shochu, sake, cocktail or sour or two! Non-drinkers are well catered for too so you’ve no excuse not to go. Mobal Tip: commit to memory the red and/or white signs in the above image. 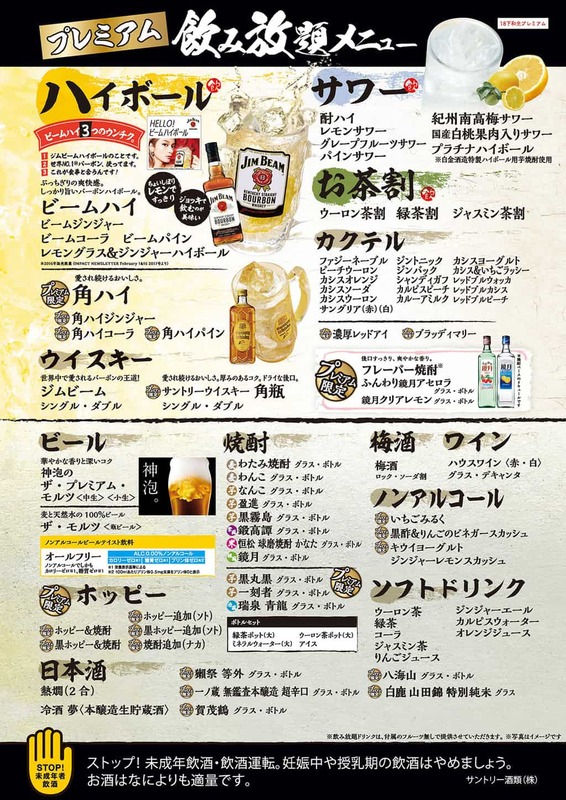 They’re your shortcut to finding 2 of Japan’s most popular Izakaya chains- Watami & Za Watami! The Wa” (和) represents Japan and inspires the interior ambience of wood, lanterns, low tables & traditional food. The food menu is like a book of magical spells where everything served comes out looking exactly like the photo. Check out Watami’s food menu in advance by clicking here! It’s been well-documented but worth mentioning that many Izakayas have a per person table charge that’s not mentioned beforehand. It often takes the form of a simple starter dish known as “Otoshi”. The good news is that it’s usually a negligible fee & offset by other tantalizing items on offer! Good enough to eat (display model)! Yakitori: Every foreigner’s favourite menu has everything from the staple negima (chicken & green onion-recommended!) to chicken hearts, chicken skin and chicken bum-bum. Typically an Izakaya runs on beer. Most people will start with a beer and follow their mood from there. Again the menu choice is extraordinary so we’ll use the Watami menu as our guide! Beer & Hoppy: That’s a sentence that just makes me smile. If you’ve not heard of Hoppy before click here. Pretty sure you’ve heard of beer so here goes! Small beer, Medium Beer, Big Beer & Beer in a bottle. Not so complicated! Highballs: Whiskey is a really popular drink in Japan and can be really good. The cheaper stuff is best drank as a highball (with ice & soda) however. You can choose a top-shelf or bargain basement whiskey- the price is the best indicator. Whiskey: No soda on this menu- this one’s for the purists. Get a single shot of the cheap & cheerful Suntory Kaku for 390 yen or a Yamazaki Single Malt for 590 yen. Heck why not get the whole bottle- a bottle of single malt sells for 6,990 yen! Sours: Sours can often be sweet but they’re always a heady mix of shochu alcohol with flavored soda water. Choose from lemon, grapefruit, peach, pineapple, etc. Excellent thirst-quenchers! After 2 hours of sampling this stuff your shyness will be cured too!